Each year Laura Mercier releases lovely sets during holiday season. This year there are several eye and face palettes for travels, brush collection as well as a mini caviar stick set. But to me holiday is the time all that glitters come out to play! Sooo when I noticed their new and limited "Eye Glace" last time when I visited the counter and I was intrigued by it since it looked and swatched like nothing I own and it blinked like nothing else! It comes together with a mini eye kohl and a mini black mascara. 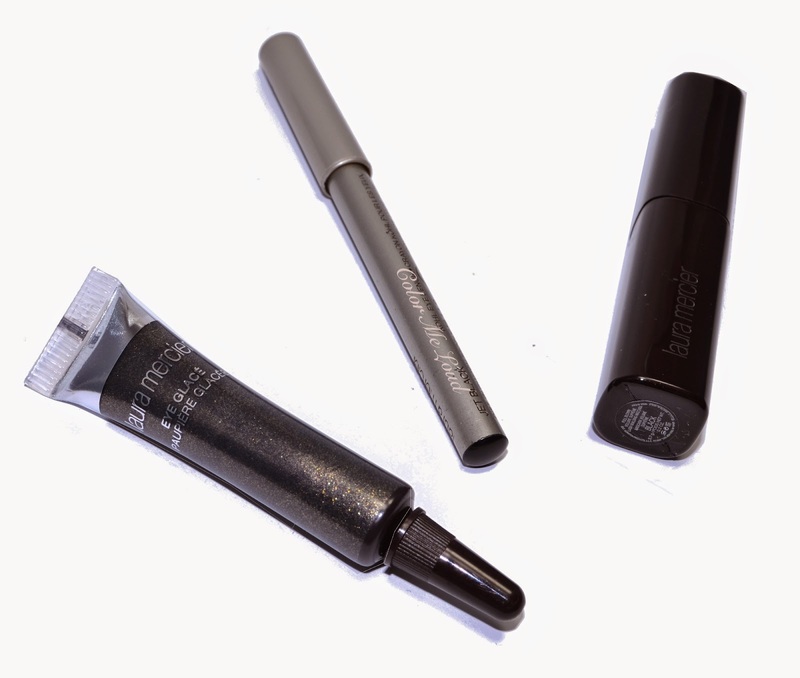 Mini Koh Eye Pencil in Jet Black is a limited shade. It is very black and smooth. I have applied it along the top lashed, then smudged it with a regular eye shadow brush for a smoky look. I liked the way it applied. 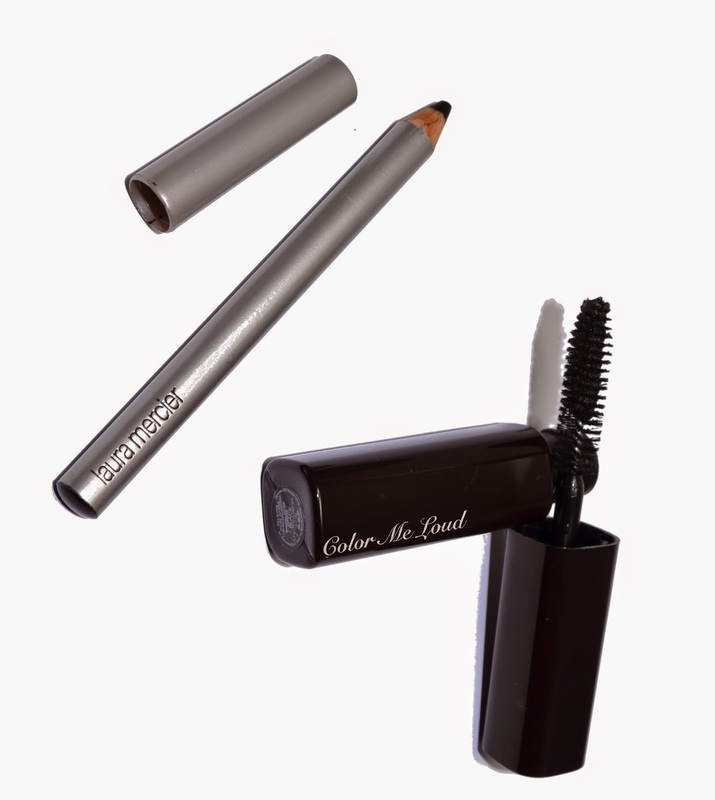 A mini size Full Blown Volume Supreme Mascara comes with the set in color Black. I had a chance to try it last year since it came with one of Laura Mercier Artist's Palette. It is a nice volume mascara but doesn't hold the curve on my lashes all that good. If you have naturally curved eye lashes or ones which are less "brushy" then mine, I suspect you might like it better than I do. 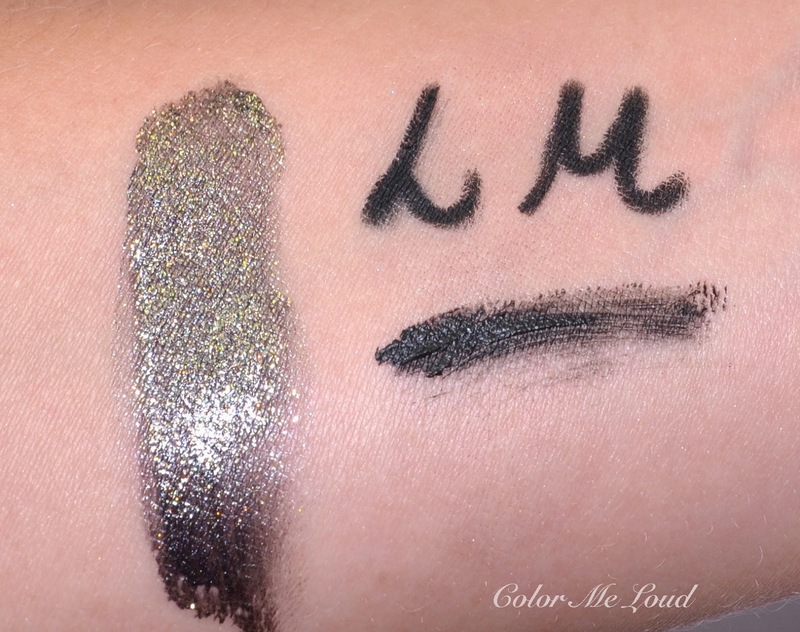 Laura Mercier Eye Glace in Black Diamond has a very interesting formula. It is like a gel, with almost a cooling effect once applied. I believe this comes from the fact that the liquid part of it evaporates, living a stain behind. This happens very fast so you have just around 10 seconds to distribute the product evenly and blend the edges. I find this time to be very short, so it is better build up slowly. Once the product is almost set, it starts dragging in the last seconds and afterwards it sets in a final dry version and doesn't move. I really like the way it doesn't create a mess under the eye during application because of the liquid base although it has a fair amount of glitter inside. Also the glitter doesn't transfer as bad as other glittery products, creams included. Black Diamond has a semi transparent black base and very pretty golden, khaki and silver glitter. There is another Trio which is thought to be for the day time and has an Eye Glace in Rose Quartz. The texture of that one is more shimmery than glittery. For the eye look below, I applied the kohl along the lash line and smudged it with Laura Mercier Smoky Eye Liner Brush. I then padded a small amount of Eye Glace in Black Diamond on the lid, way above the crease, building up slowly. Right after I applied, I blended the edges with a large fluffy brush. 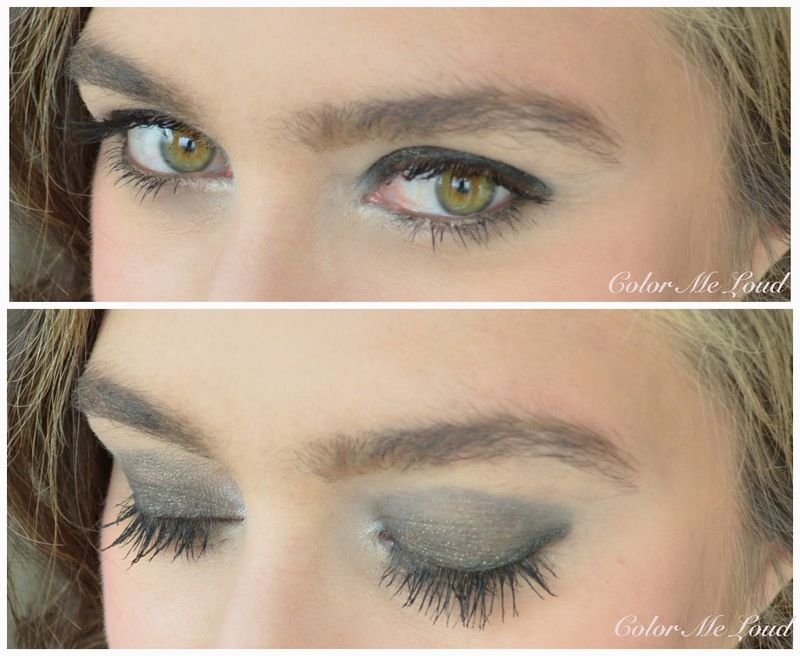 I applied MAC Blanc Type on the inner corner for some brightness and Urban Decay Smog along the lower lash line. Final thoughts: I really like the idea of having a jelly liquid base to pack glitter on the lid. This base holds the things together and makes the application a breeze. If I would have a little more time to apply it, Laura Mercier's Eye Glace could make one of my all time glitter rich formula. Availability/Price: Laura Mercier Eye Transformation Trios in Black Diamond and Rose Quarz are now availabel at Laura Mercier Counters and online. It retails for 30€ in Germany. Have you checked out Eye Glaces? What is your favorite glitter rich formula which causes less fall out and less transfer during the day? 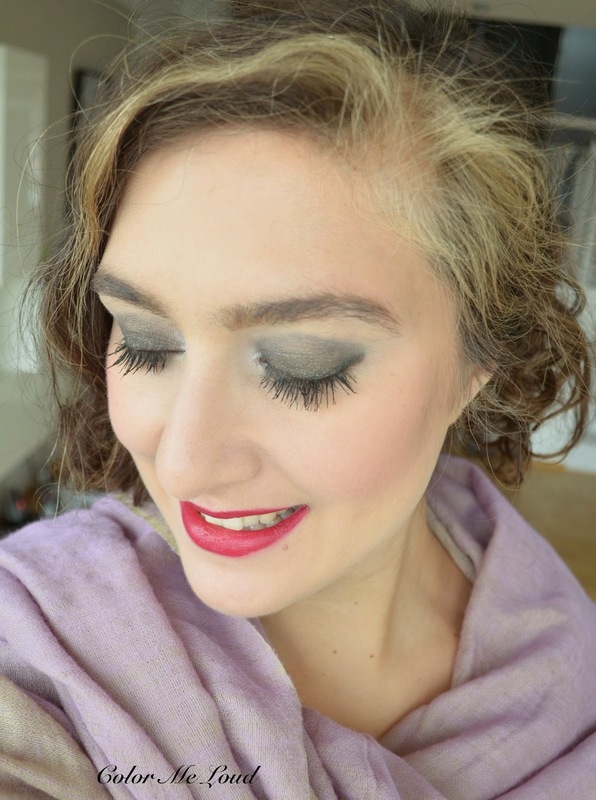 That MAC Salon Rouge, though.... SO HOT! Rose Quarz is very pretty, great for day time. It is less glittery more frosty/shiny. 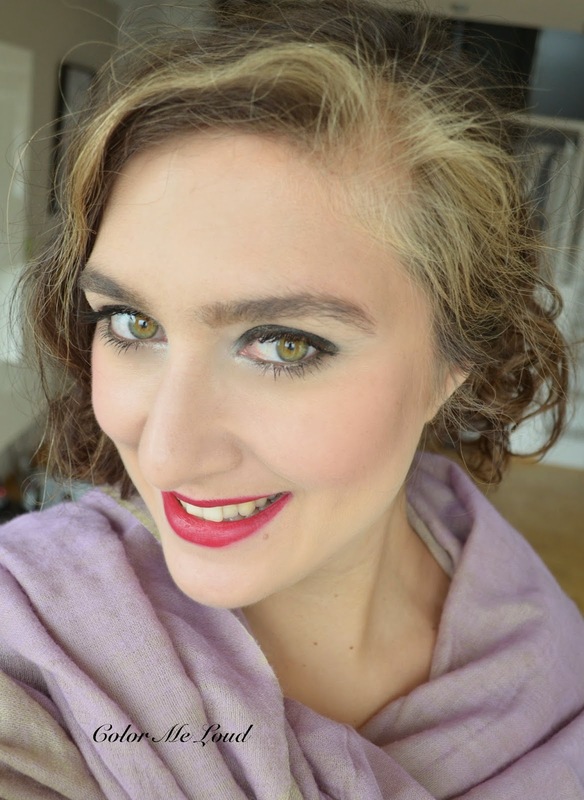 I am not too much impressed by the mascara, it is nice but doesn't hold the curve for me. I need to write a mascara post soon, I tried like tens of mascara in the last months. I like Salon Rouge too! I was very interested in this set but I didn't buy it because I couldn't try it or see it so I didn't take the plunge. You look gorgeous in the photo!! The formula the way you describe it sounds like a drugstore liquid glittery eyeshadow I used to have, can't even remember the brand! it is interesting that there was a close formula elsewhere. For me it is very unique, it definitely has its cons and pros but for the glittery side of things, it is rather easier to apply and maintain.